Werner Erhard has been creating transformational models and applications for individuals and organizations for over 40 years. He has spent his life on a quest to discover the nature and function of being for human beings. For the last decade, Werner Erhard has been at work in the ontological / phenomenological domain, publishing academic papers, most notably on leadership and integrity. He has presented work at, among other institutions, Simon School of Business at Rochester University, Harvard Law School, Erasmus Academie, University of Southern California, MIT’s Sloan School of Management, Millstein Center for Corporate Governance at Yale University, Depaul University and the John F. Kennedy Center for Public Leadership. He and his co-author Michael C. Jensen are writing a book on integrity for Cambridge Press. Werner Erhard's approach to education was developed orignally in the est training which was organized around individuals producing results and experiencing satisfying lives. As Erhard developed his ideas he applied some of the same ideas and principles to business and trained several management consulting firms in the methodology that he developed in performance and management education. Throughout his history Erhard has been extremely generous with either creating or contributing to charitable enterprises aimed at improving the quality of life. He has worked with leaders and grass root activists in peace and reconciliation in Ireland as well as international NGOs in Africa, India and other developing nations. Werner Erhard co-founded independent, non-profit charitable enterprises, including: the Breakthrough Foundation, the Hunger Project, the Holiday Project, the Werner Erhard Foundation, and the Education Network. In 1988, Werner Erhard was awarded the Mahatma Gandhi Humanitarian Award in recognition of his contribution to people and society. In the nearly 20 years of its operation, the Werner Erhard Foundation awarded over $4 million for research, scholarly endeavors, and voluntary action. It provided support to more than 300 outstanding individuals and organizations from a variety of disciplines in the fields of individual and social transformation and human well-being. These recipients made a profound contribution to human thinking, growth, and achievement. In the documentary, Transformation: The Life and Legacy of Werner Erhard, viewers get a glimpse of who Werner Erhard really is, with rare interviews with his family, press and top professionals. Werner Erhard’s life has been devoted to the creation of ideas. Some of his ideas have been turned into programs for the public, some made available through non-profit organizations, and some have been used by management consultants in their consulting to corporations and non-profits. After more than 40 years many of his transformational ideas have become a part of society’s thinking and culture across the globe. 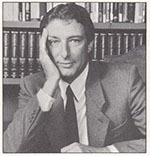 In the early 1970s Werner Erhard introduced the notion of "transformation" to the American public in a way that it had not been heard before. The methodology he developed provides individuals and organizations with a means to design new contexts or frames of reference for themselves. This results in more creativity, independent thinking and effective action which has a lasting impact on the important concerns in people's lives. Werner Erhard created a program in 1971 named the est Training, which was offered to the public by Erhard Seminars Training, Inc. and after 1981 by Werner Erhard & Associates. The est Training, attended by approximately a million people, was enormously popular and became a household word. 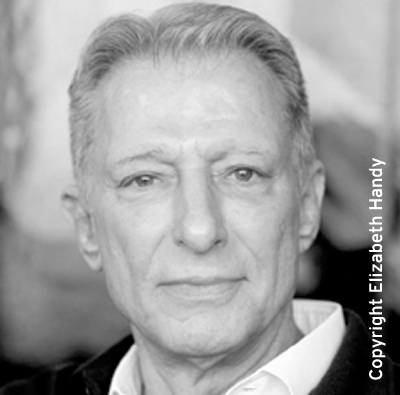 The combination of Werner Erhard's cutting edge ideas and his ruthless compassion, honesty and skill in leading seminars catapulted est into the mainstream of American culture. With this wide-spread popularity, Erhard and his programs became the subject of television, newspaper, magazine, and even movie attention. Because Erhard Seminars Training, Inc. and Werner Erhard and Associates produced powerful results with hundreds of thousands of people worldwide in a very short time. Erhard and his work continue to be a source of enormous influence. 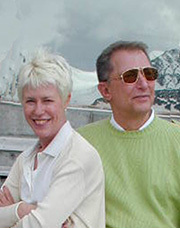 In 1991, Erhard closed his companies that offered his programs to the public. His former employees started a company of their own called Landmark. Erhard's original thinking and the processes developed from it are found updated and further developed in the programs of Landmark. Werner Erhard and his work continues to be an enormous influence in the world as well as a frequent subject of the media. If you are interested in more information about Werner Erhard's life there is only one biography published about Werner Erhard that is both factual and includes extensive interviews with Werner Erhard and family members. The book is titled Werner Erhard, The Transformation of a Man: The Founding of Est by William Warren Bartley III. While other publications exist in print and on the internet it is important to note that they do not have factual rigor as they are not properly referenced and in many cases rely on anonymous sources. Werner Erhard's life is best understood through his work and ideas, several of which are gathered in a collection at the website Werner Erhard Biography. One of the writings highlighted there is "A Shot Heard Round The World: Werner Erhard on The Context for Creating a Transformed World: A World that Works for Everyone. "For several years before his latest professional reincarnation, Mr. Erhard consulted for businesses and government agencies like the Russian adult-education program the Znaniye Society and a nonprofit organization supporting clergy in Ireland." "Enter the Harvard economist Michael Jensen. Dr. Jensen, who is famous in financial circles for championing the concepts of shareholder value and executive stock options, had taken a Landmark course in Boston at the suggestion of his daughter, who mended a rocky relationship with Dr. Jensen after taking the course herself." 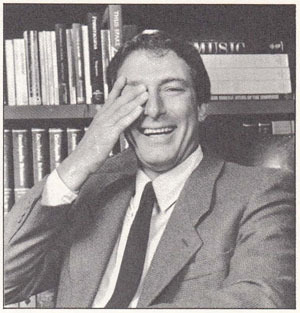 In its 40th Anniversary issue (May 15, 1985), Fortune Magazine recognized Erhard’s significant contribution to corporate leadership and strategic thinking. Fortune noted that Erhard's work, which introduced the idea and value of empowering people, was the major management innovation of the 1970s. This documentary was created by the independent filmmaker and two-time Emmy Award Winning Producer for PBS, Robyn Symon. It chronicles the history of Werner Erhard, his life, the world of The est Training and his work and ideas, all put into perspective through the dozens of stories told by numerous professional and academic experts. Transformation: The Life and Legacy of Werner Erhard is available in DVD by clicking here. 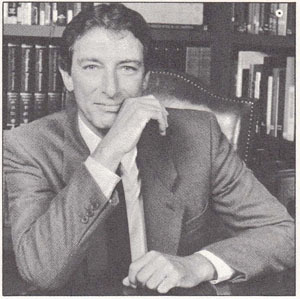 Werner Erhard Biography Website: Evolution of a leading thinker, Werner Erhard, his ideas, research and writing. Werner Erhard's life is best understood through his work and ideas. Werner Erhard's life is best understood through his ideas and their application to people's lives. est was to create space for people to participate in life – to experience true space and freedom in life." The best place to find Werner Erhard's ideas at work for personal and professional training and development is at Landmark.